Financial Information for Internal use – We create accurate financial reports that offer a myriad of information to executive officers and the board of directions and help them to see where the challenges of the organization lie. Once discovered, the board can decide how best to solve these challenges. Simple Procedures to Increase Your Revenue – We can help set up effective yet simple internal controls which increase the revenue to the organization. Organizations can lose a lot of money due to ineffective spending and theft. Both of those issues can be drastically reduced by implementing simple internal controls. Minimize Tax Liability – We can minimize the impact of taxes and other regulations from taxing authorities. CPAs are well trained in tax code and can help you avoid paying unnecessary taxes. Accounting services – Keeping an accurate and updated set of accounting records can provide your company with information needed to make proper business decisions. 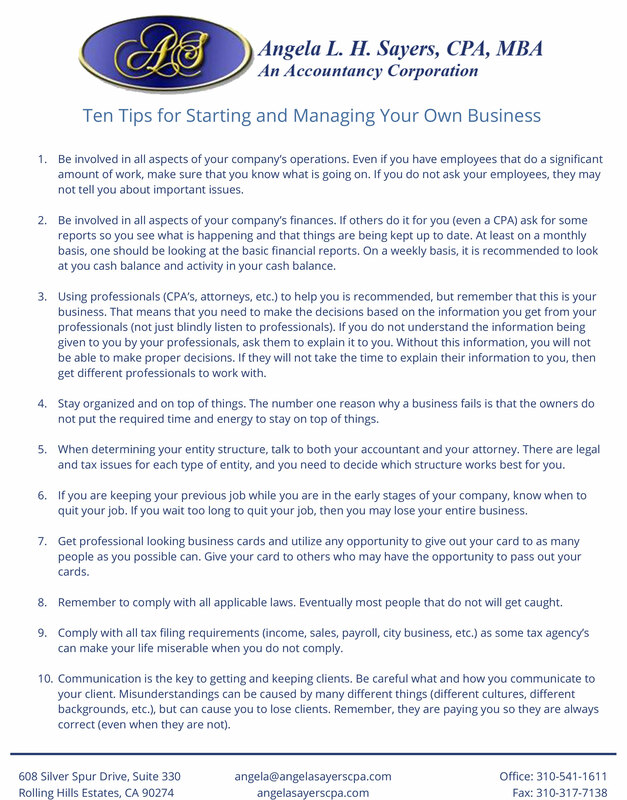 Accounting can be time consuming, especially for those without much accounting background. 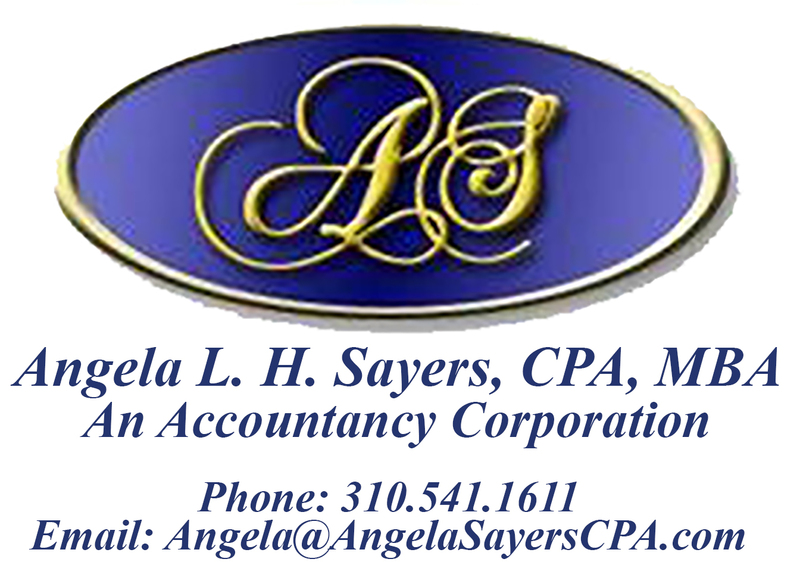 Outsourcing this accounting function to Angela L. H. Sayers, CPA can free up your time for revenue producing activities. 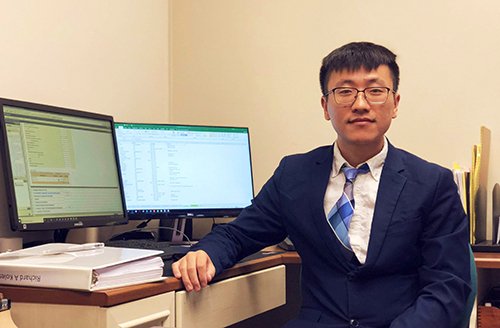 Financial Information for external use – We help you organize your financial information when applying for loans or grants. 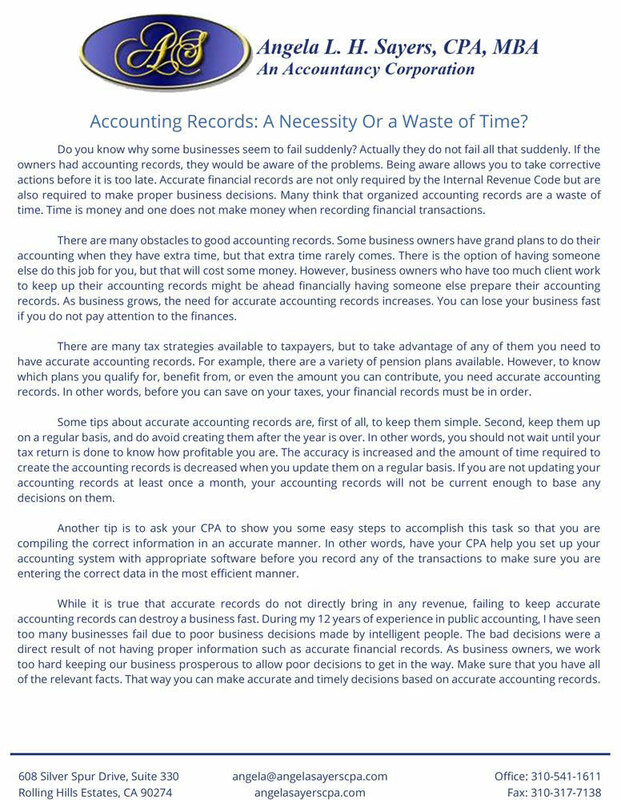 Accounting Records: A Necessity or a Waste of Time?